Author: Blume, Judy Set In . . . Description: Living with his little brother, Fudge, makes Peter Hatcher feel like a fourth grade nothing. 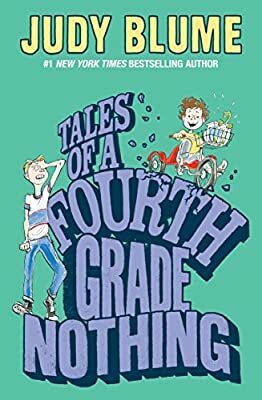 Whether Fudge is throwing a temper tantrum in a shoe store, smearing smashed potatoes on walls at Hamburger Heaven, or scribbling all over Peter's homework, he's never far from trouble. He's a two-year-old terror who gets away with everything—and Peter's had enough. When Fudge walks off with Dribble, Peter's pet turtle, it's the last straw. Peter has put up with Fudge too long. How can he get his parents to pay attention to him for a change?